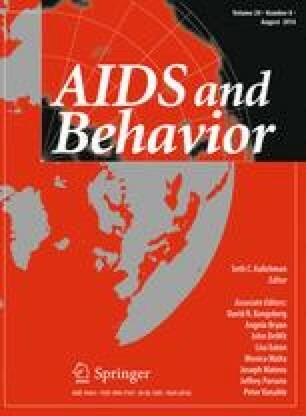 Gender norms and gender role conflict/stress may influence HIV risk behaviors among men; however scales measuring these constructs need further development and evaluation in African settings. We conducted exploratory and confirmatory factor analyses to evaluate the Gender Equitable Men’s Scale (GEMS) and the Gender Role Conflict/Stress (GRC/S) scale among 581 men in rural northeast South Africa. The final 17-item GEMS was unidimensional, with adequate model fit and reliability (alpha = 0.79). Factor loadings were low (0.2–0.3) for items related to violence and sexual relationships. The final 24-item GRC/S scale was multidimensional with four factors: Success, power, competition; Subordination to women; Restrictive emotionality; and Sexual prowess. The scale had adequate model fit and good reliability (alpha = 0.83). While GEMS is a good measure of inequitable gender norms, new or revised scale items may need to be explored in the South African context. Adding the GRC/S scale to capture men’s strain related to gender roles could provide important insights into men’s risk behaviors. We would like to thank the study participants for sharing their time and perspectives with us. We would also like to thank the staff of the MRC/Wits Rural Public Health and Health Transitions Research Unit (Agincourt) for their support of the parent study, including data collection. Tamu Daniel, Sheree Schwartz and Rushina Cholera also assisted with data collection. Dr. Cathy Zimmer at the UNC ODUM Institute for Research in Social Science provided valuable advice on the data analysis. This study was supported by a Ruth L. Kirschstein National Research Service Institutional STD/HIV Pre-Doctoral Training Award (National Institutes of Health DHHS/NIH/NIAID: 5 T32 AI 07001-35) through the University of North Carolina at Chapel Hill Institute for Global Health and Infectious Diseases. The National Institute of Mental Health provided funding for the parent study for this research (1RO1MH087118, A. Pettifor, PI; 1R21MH090887-01, S. Lippman, PI).